This book is a thrilling non-fictional piece that highlights the lives of nine upperclassmen at Walt Whitman High School. We journey with these students through the stress of their hectic academic schedules, their equally ambitious parents, and their internal struggles. The college admissions process is always present, and it makes you feel just as trapped as the students that go through it. See what it is like to be the Superstar, the Perfectionist, the Workhorse, the Teacher's Pet, the Slacker, the Meathead, the Flirt, the Popular Girl, and the Stealth Overachiever as they give us a glimpse of their overachieving lives. 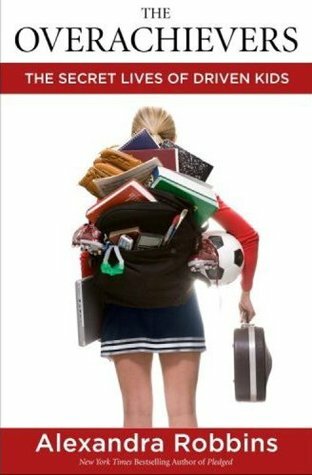 This book is very interesting because it gives the reader a behind-the-scenes perspective on the overachieving culture that many high school students across America are a part of today. I like the fact that instead of seeing this world from one perspective, you get perspective from nine different people that are well-trained in the field. Every high school student should pick up this book at some point, as well as parents, counselors, high schools, and colleges. If you are involved in any educational environment at all, or even if you just like to read for pleasure, this book is for you.